Chabad at Beekman-Sutton is one of over 4,500 Chabad Centers worldwide, inspired by the vision of the Lubavitcher Rebbe, Rabbi Menachem M. Schneerson. Chabad at Beekman-Sutton was founded in 2006 as a division of Chabad Lubavitch of Midtown Manhattan (www.ChabadMidtown.com) to enhance Jewish opportunities in the East Midtown area of Manhattan. 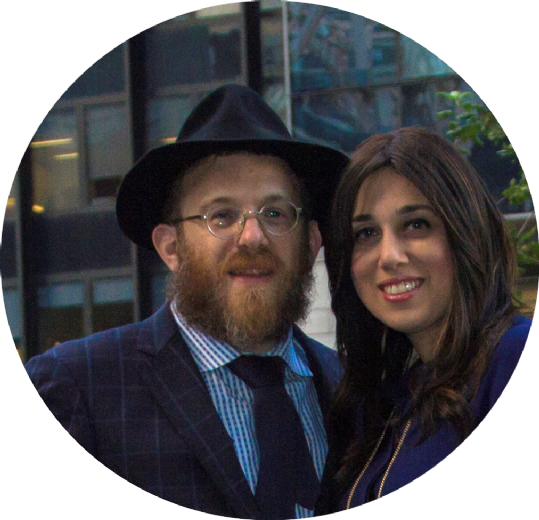 Led by Rabbi Shmuel Metzger and his wife Raizy, Chabad has reached out and touched thousands of lives through a warm and personal approach to community building. Hundreds of families and individuals have taken part in our High Holiday Services, Holiday Family Events, Public Menorah Lightings, Shabbat Services, Torah Classes, Passover Seders, Preschool and more. 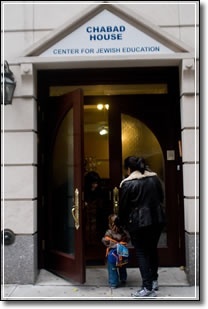 In 2008, Chabad moved to its current location on East 53rd Street between 1st and 2nd avenue, where it continues to grow. Our Motto is Torah Literacy ~ Mitzvah Observance ~ Jewish Unity. Rabbi Shmuel A. Metzger has been serving the Manhattan community since 2006. A third generation New Yorker, he received Rabbinic ordination and completed a Bachelor’s Degree in Jewish Studies at the Rabbinical College of America in Morristown, New Jersey. Following that, he spent six years of study at the central Lubavitch Yeshiva in Brooklyn, eventually becoming qualified as a Rabbinic Judge (Dayan).Rabbi Metzger’s studies and travels as a student Rabbi have taken him across the world and close to home, with stints in London, Connecticut and Bosnia, among other places. Rabbi Metzger combines his vast knowledge of Torah, Talmud and Chassidic thought with an open approach to everyone he encounters. The Rabbi is well-known in the East Midtown community for his warm smile and concern for all, as well as the depth and originality of his classes and lectures. Having grown up in the surroundings of the Lubavitcher Rebbe, Rabbi M.M. Schneerson, Rabbi Metzger is inspired by the Rebbe’s love of Judaism, of all Jews and of humanity, and has spearheaded many projects and activities in our area to raise awareness of Judaism and unite the community. Rabbi Metzger is best reached via email at Rabbi@chabadsutton.org. Mrs. Raizy Metzger co-directs the Chabad at Beekman-Sutton and is the founder and executive director of Manhattan Jewish Montessori. Raizy earned a bachelors degree in advanced Judaic studies in Beth Chana of Safed, Israel. She taught Judaics on the early childhood and high school level in Los Angeles and then New York, and at various summer camps throughout the US and Canada. After graduating, Raizy, a gifted writer, also served as editorial assistant at Wellsprings Magazine and worked as a staff writer for Lubavitch.com, the Official Chabad News Service. In 2006, Raizy founded the Jewish Children’s Book Club in her home, where local kids would come by, read a Jewish themed book and engage in stimulating Jewish activities. Over time the success of the program evolved into The Chabad Preschool at Beekman Place, which fuses the latest in education technology and the warmth and wisdom of the Jewish mother. Raizy has given classes on the weekly Torah portion, feminism and Jewish thought, Challah baking, Jewish marriage and everything in between. She can be reached via email at Raizy@chabadsutton.org. Rabbi and Raizy Metzger are the parents of five children, Mushka, Mendel, Chana, Sarah & Ester.